Glide easily over the slopes, and have greater and more surprising thrills, all without training… With a seat 20 cm above the ground, like a snow kart, this new gliding concept offers real entertainment. Its recreational, user-friendly element allows you to be in total control of your descent. 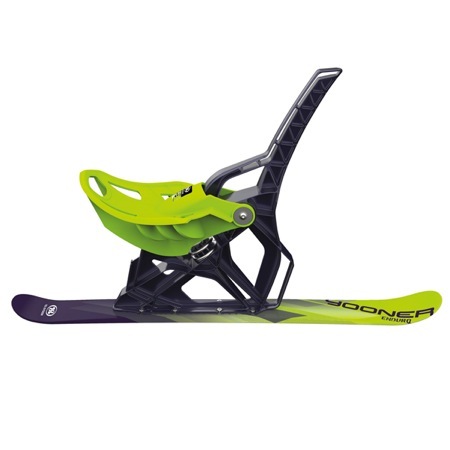 The Yooner is light and easy to handle, comes fitted with a shock-absorber for greater comfort and has a runner that allows you to “carve turns” as if you’re skiing.